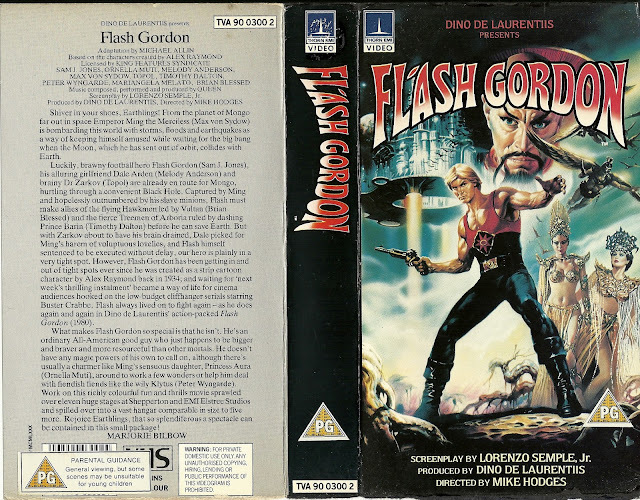 of the 80's classic Flash Gordon. Man, I love the U.S. cover but this one is pretty freakin' sweet. I love the Sword & The Sorcerer style of cover art and how it almost looks like a comic book cover. This has always been one of my favorite films. It's so campy, but full of so much over the top style and substance that you just can't help but love it. Sam Jones was inspired casting as the All American football player turned intergalaxy hero. And Max Von Sydow was spot on perfect as Ming The Merciless. 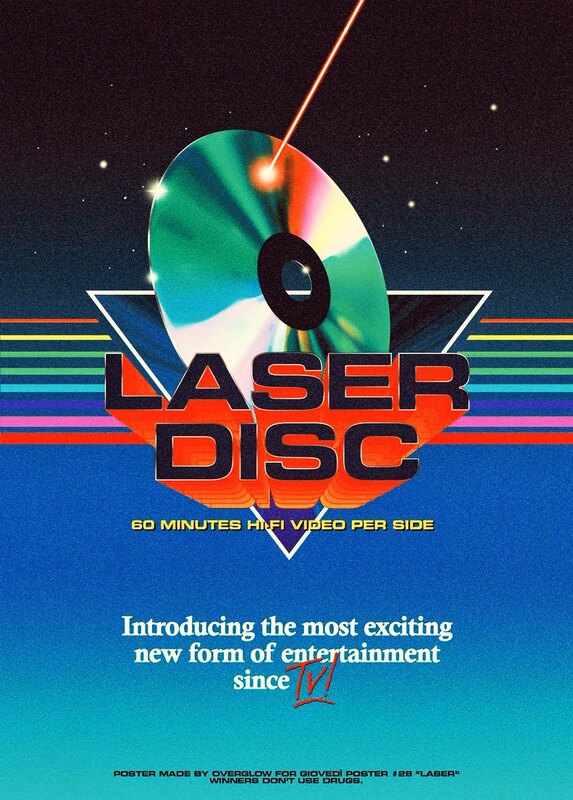 Throw in Queen's catchy and pitch perfect score and soundtrack and you have pure 80's bliss. I think it's about time to revisit this 80's gem and re-immerse myself in it's cheesy, campy and rock themed absurdness. Awesome movie, it was a big thing back then...I had a sticker album, and the most iconic pic was Ming stabbed by the spaceship, awesome. gotta love the cover art!! !